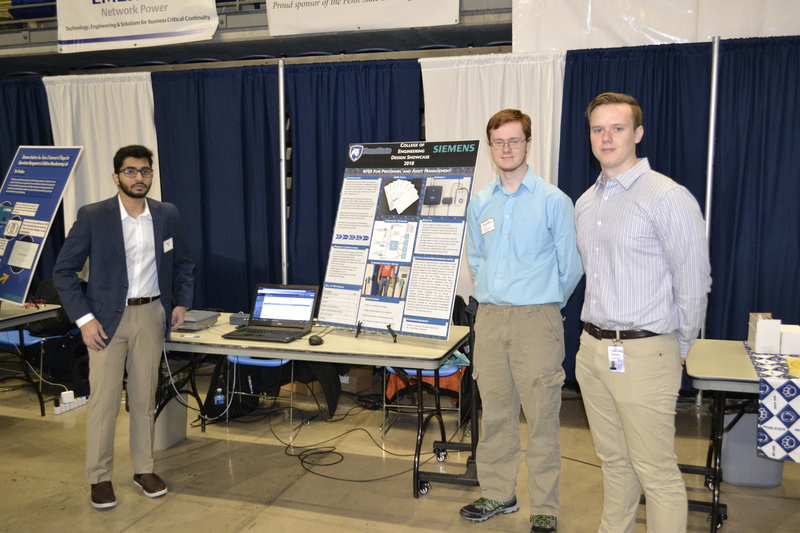 Penn State University Engineering Capstone Showcase, Fall 2018. – Len Bilén's blog, a blog about faith, politics and the environment. 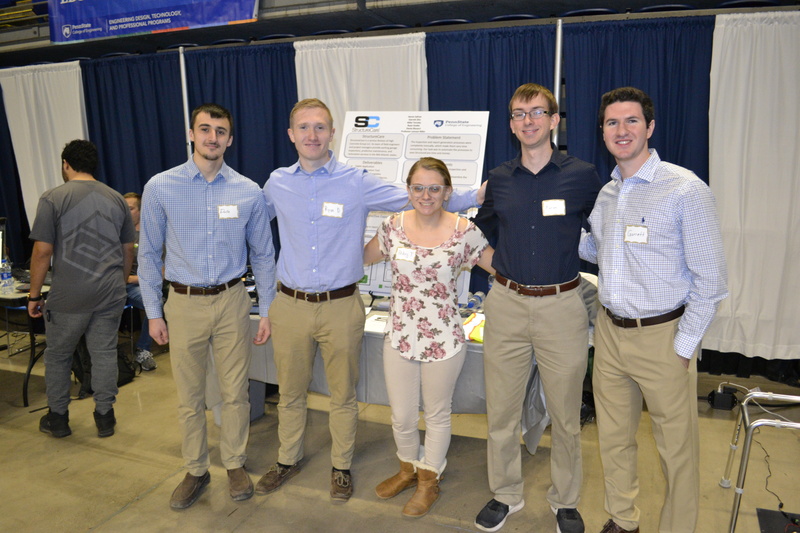 Penn State University Engineering Capstone Showcase, Fall 2018. 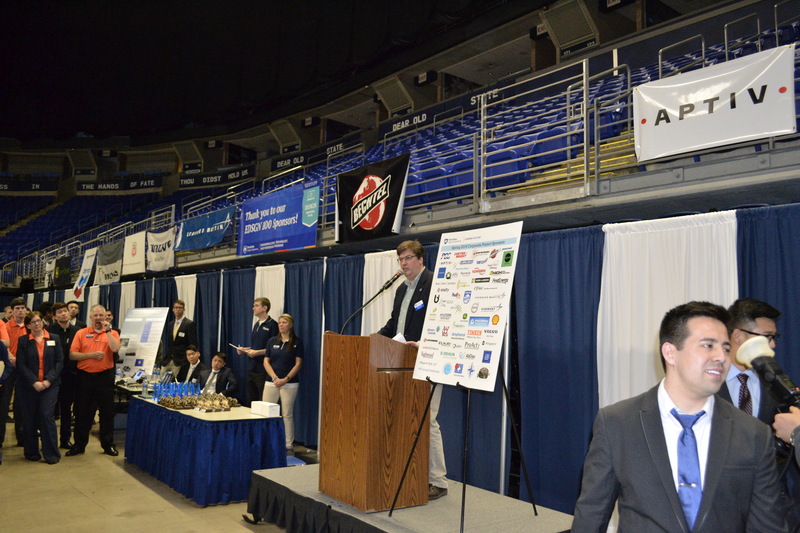 Thursday, two days before finals was the PSU Engineering Capstone showcase. Even though I have been a lecturer there for the last six years I didn’t realize it is by far the largest Capstone showcase of this type in the world, and it is growing year by year. 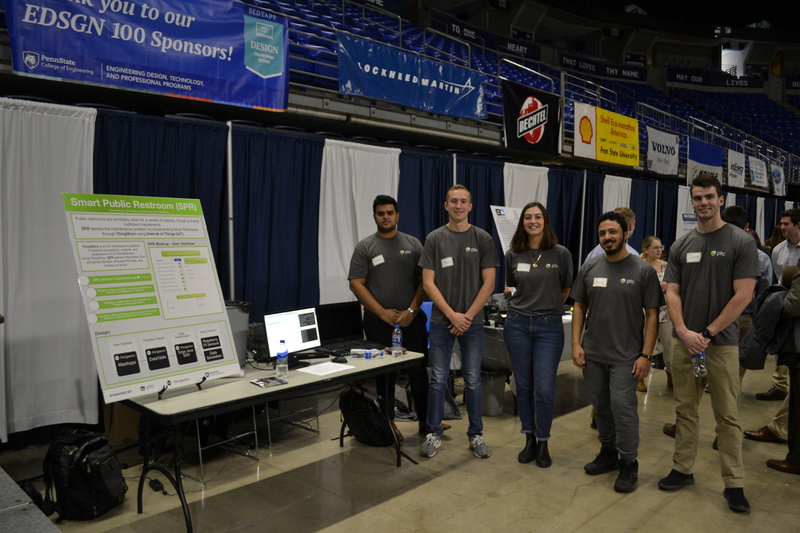 This year there were over 88 Capstone teams competing, mostly graduating seniors, but a good number of freshmen in engineering, in all around 1000 participants. 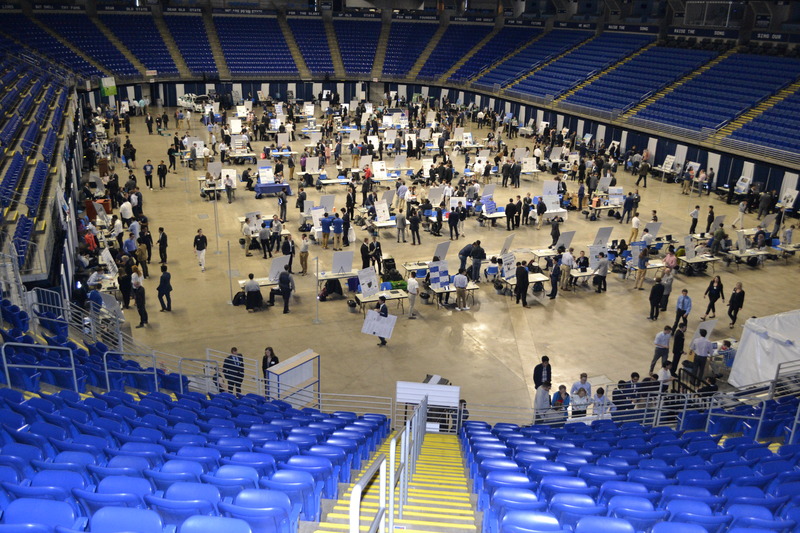 The set-up began at 10:30 a. m. in the Bryce Jordan main Arena, with 88 senior Capstone projects displaying their results. The success of the showcase is in part because of a large number of corporate sponsors, many who sponsor multiple projects. Some of these projects are the very cutting edge of science, and provide a real challenge for the students. My role as an instructor is quite simple: To convert the engineering students from students to world class engineers in 17 short weeks. The engineering students are organized in teams of 4 or 5 persons. 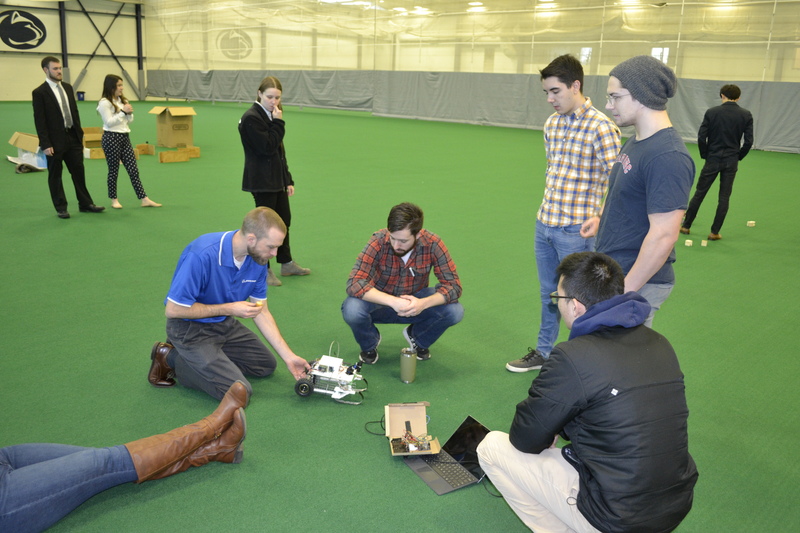 Most of the teams consist of engineers from more than 2 engineering majors. So the teams must get to know each other, work together as a functioning team, do the research, build a prototype or a final product as a team, with deadlines to meet. This is quite different from cramming for an exam. 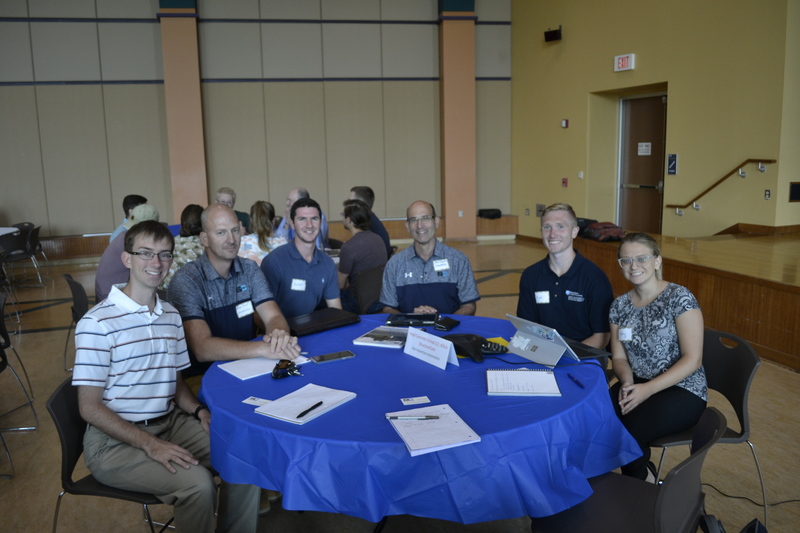 The projects are quite different: This fall I had the opportunity to coach 5 teams: This team was a delight to work with from beginning to end. From the first meeting with the sponsors (fig above) they worked together as a team, met all deadlines with ease, produced a high quality report on how to improve and automate the report of the inspection of parking garages and other concrete structures. For their efforts they won the overall first prize for best project in the showcase. 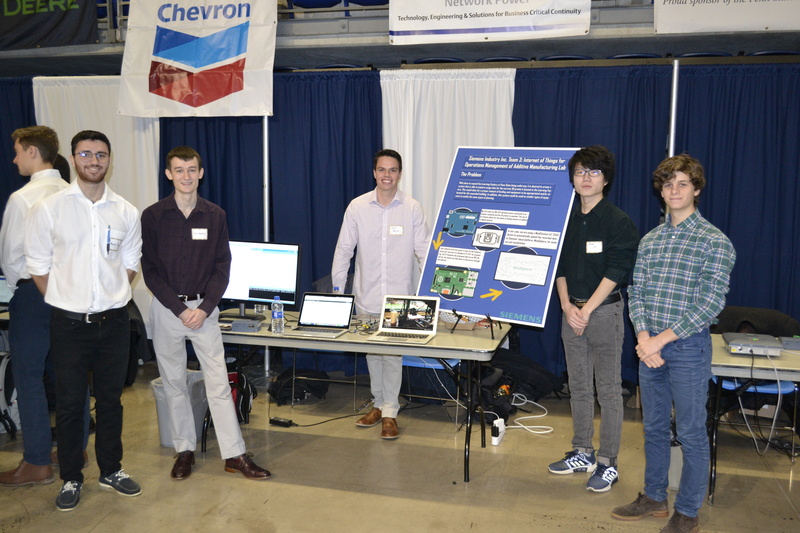 this project attempted to use the internet of things to make public restrooms smarter by reporting over the internet the soap dispenser being empty, paper running low, overflowing waste containers, and the likes and report the results to the central janitorial staff for better and more efficient maintenance. They won second prize for best poster. showed how to improve security in the Penn State Learning Factory yet to be built by having more secure personnel and equipment procedures using badge scanners, making sure who is in a specific room at all times. And finally the robot competition, used as a recruitment tool for Boeing and Lockheed, who like most companies are looking for the most talented and best student graduates. A good time was had by all, and at 3 o’clock it was time for the presentation of the awards. Free Penn State Creamery ice cream for everyone!